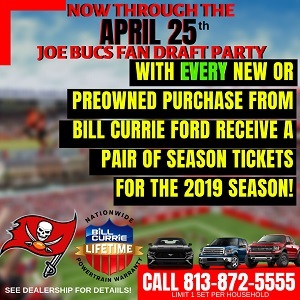 Even bigger than the massive Ira Kaufman Podcast audience is the hunger for all things Bucs and NFL that lives in the belly of the Sage of Tampa Bay Sports. 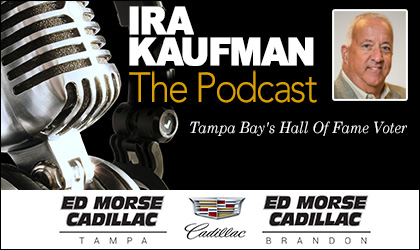 Tune in as Ira dials up various subjects with Joe, presented by Ed Morse Cadillac Tampa and Ed Morse Cadillac Brandon. “The Sage” fires away twice per week. Love all the Podcasts. But, can you please have Ira place his microphones closer. It always sounds like he is participating by phone. But, can you please have Ira place his microphones closer. It always sounds like he is participating by phone. Ira wears a headset and he’s damn near eating the microphone it is so close to his mouth. Getting Jameis a running game that makes play action work will cutdown his interceptions ! Joe- any chance that Ira needs to adjust his headset/microphone to a “Brooklyn” setting? Dirk used to say that crap over and over but now we are saying no one told him to be like Fitz? You guys are better than that, that junk on the podcast was some Tom Jones type twisting you were doing there. And Lee please don’t try to judge how others say things have you listened to yourself trying to make a point? You know you can say something other than the same sayings over and over and over and over and over again. We know we know you think Jameis was a high wire act on college, we should, you type it or say it like every 5 minutes.